Size: approx. 15-20 mm. Photo: 08/12/18, noon. 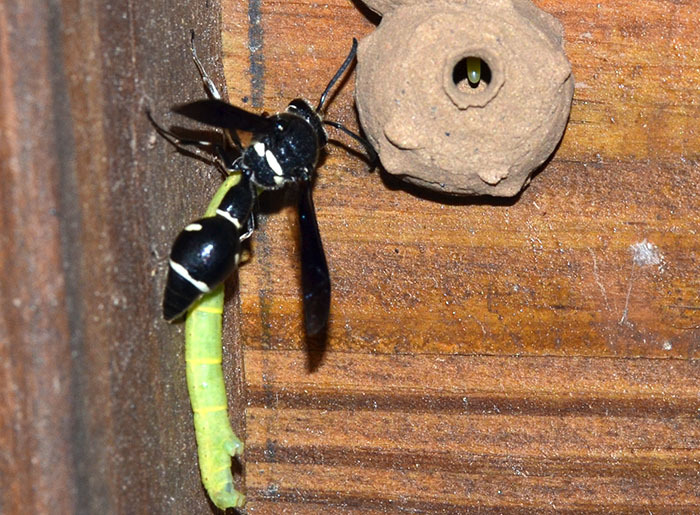 The common Potter Wasp (Eumenes fraternus) builds small spherical mud nests and provisions each with a caterpillar etc. after laying a single egg. This egg can be seen on the photo. 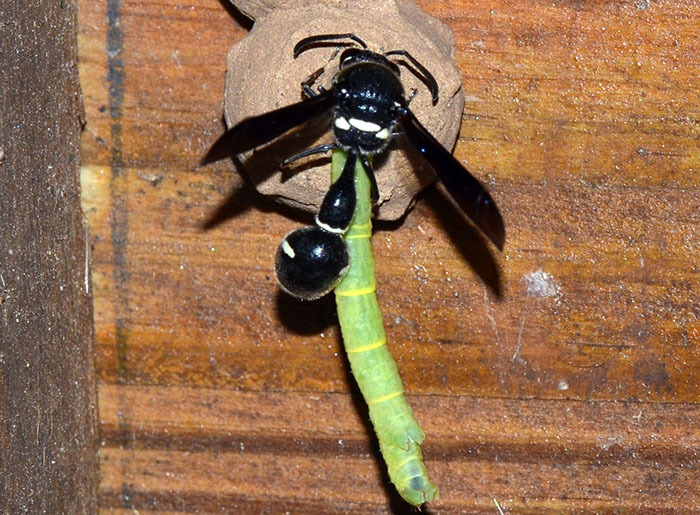 I was quite surprised by the size of the Geometridae caterpillar which the wasp stuffed into the nest. The process took about 20 seconds. 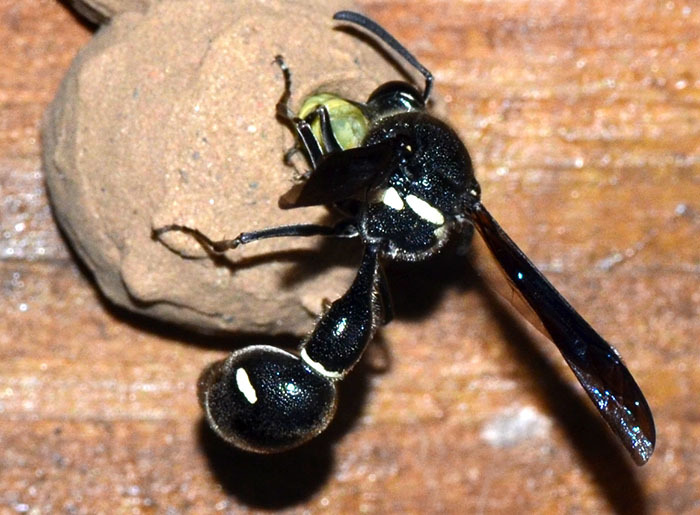 The prepupal instar overwinters in the mud pots built by the last generation of females.